Posted in Communication Skills, Leadership and Communications, Newsworthy, Political Communications, Public Speaking, Speakers, Special Event, Top 10 Best and Worst Communicators, Uncategorized. Tagged Ahmadinejad, Barack Obama, Carly Fiorina, Mark Sanford, Matt Lauer, Obama, sarah palin, Steve Jobs, Sully Sullenberger, Taylor Swift, Tiger Woods, Tim Tebow, Top Ten, Top Ten Best And Worst Speakers, Top Ten Communicators. How about the interview with Hannity tonight? It seems that she had better control here. I think Palin did fair in the O’Reilly interview. Still not as focused or skilled in getting to substantive points of view, but not bad. O’Reilly was pretty good. On the other hand, I thought Glenn Beck did a terrible interview in his prime hour with Palin – rambling and missing in questions and issues of consequence most of the time. Palin did perhaps the best she could, but did not take control of the interview when she realized it was going no place. A poor showing for both. How do you feel Palin communicated in this interview with O’Reilly? I’d be interested in your thoughts. She’s also going to interview with Glenn Beck tomorrow and I’d be intersted to see what you have to say about that one if you get the time to watch it. Palin normally communicates well. Sometimes she is far too laid back and unprepared. 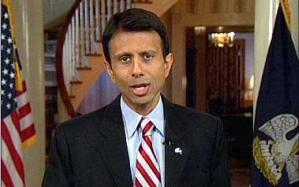 Bobby Jindall is a Governor, not Representative. FYI. Wow, Allison, thanks for your in depth insight. You give me reason to comment here on the reason for the Top Ten in the first place – trust is critical in communications, and each year some people use it well, or not. And great comments on Sullenberger, Brogan and Obama. They amplify nicely what I was trying to say in a short paragraph. What I’ve found interesting about Palin is people either like her (and trust her) or dislike her (and distrust her.) The comments here (and I saw yours too Hannah) are mostly of the dislike variety, but there have been many of the ‘like’ in other blog comments and tweets. But there have been a LOT of comments – maybe 60% about Palin, 30% Obama and 10% all the rest. The point is do the people listed use communications well, or not, in 2009. It is my view that communications is critical to one’s success, or not, and I strive to have a cross section of people who people will have heard of, and have as many learning points as I can as to the “why” of why they are on the list. Back to Palin. She has used communications very well this past year to climb back into ‘trust’ with most of the general public. (Well, not necessarily most, but the undecideds who are more neutral about her.) Granted she does poorly in most interviews when she doesn’t have many facts. (BTW she does OK when she knows what she’s talking about – see the link to her Bartiromo interview on Alaska oil.) She also is way too folksy and ‘cutesy’ to be treated seriously as a leader by many. On the other hand, after her Governor of Alaska resignation (where I think she gave a relatively poor speech) she was considered down and out by many. So she USED COMMUNICATION to come back! Similar to 2008 where she used the spoken word in her excellent speeches at her nomination by McCain and later her Republican acceptance speech to come back from enormous negative press. It wasn’t just her book Going Rogue that renewed her popularity, but her speaking in public and on media about it. And countering David Letterman. And countering the bad and unfortunate sleaze around Levi Jackson’s negative comments. Sarah Palin had many dozens of instances of good communications, where she used the medium of her self and her mouth to advantage. And on trust, there are those who will never trust her, and there are true believers. It’s very tough to change either’s minds. But the great majority of people are in between, and they can, and will, be influenced by communications and the spoken word. Many of those have been influenced positively in 2009. Whether that happens in 2010 remains to be seen. But either positively or negatively, I do predict she will be a player – because of her communications. Thanks again for your extensive comments. You got me going. I do have opinions on the 4 people I have seen communicate in ’09. I saw Sully Sullenberger in an interview with Larry King, and I immediately liked him. He presents a grounded confidence with humility and leadership. When he spoke, I listened to every word and had no doubt he was sincere and authentic. Not a professional speaker with a lot of public speaking in 2009 (that I know of), but in what I did see of him, he’s certainly impressive and very likable in his communication style. I’d want him as a leader. I trust him. Not just how he communicates, but more of how he exudes a spirit of peace within without any sense of fear about who he is or anything he discusses. I got the distinct impression that he has absolutely nothing to hide. I admired that about him. Palin on the other hand. I’ve always felt she was artificial and full of hidden secrets. She never gave me a hint of credibility. Even her great speeches for which she earned a spot on your list, no sense of trust or credibility – just a great rally leader of folks who want leadership. I’ve never seen her speak and sensed anything other than I didn’t trust her. She’s always seemed very fake to me. When my daughter got all excited about her, I wanted to feel the excitement with her (despite my political leanings), but I couldn’t. I just didn’t trust her. She wasn’t credible to me. She come across the opposite of Sully. Now she had plenty of exposure in 2009, but the only speech I saw her give (again, I don’t watch the news, so I’m sure I only saw one of several) was her explanation for resigning/press conference speech. She may or may not have performed well technically (not sure how you’d analyze that speech from your expert, technical perspective), but all I know is that she came across as hiding things, guilty and very distrustful. The character she exudes is one I don’t trust. That’s the bottom line. I saw plenty of campaign speeches. And if she had that intangible quality of credibility and trust to pass through the gatekeeper (the First Brain), I would have a completely different perspective on her speeches. But she couldn’t get past the gatekeeper. Just don’t trust her. Obama, on the other hand, he earned my trust in his communication style throughout most of 2008 when he was campaigning. I think he earned his ranking on your Top Ten list that year because of it. He seemed passionate, sincere and driven by an authentic desire to do something good that he believed in. Whether he was sincere or not, I don’t know. But I BELIEVED he was because of how he communicated. He inspired me and millions of others with his campaign speeches. However, in 2009, as President (and even in the end of the campaign, in debates with McCain), I started to lose that sense of likability and trust with him solely based on the change in how he communicated. He didn’t have the same inner peace and confidence that Sully had. (Of course I do think his position as President and as the first black President combined with his background in law. Haven’t seen much of him since the election (by choice – the whole news thing), but what I DID see was his address to congress on the health care issue. (Which reminds me, that guy who burst out his anger about his opposing view in that speech deserves a mention in the Top Ten Worst – maybe a side note.) My *feel* in that speech was hostile, frustrated, angry, defensive. He definitely expressed a negative tone disguised in crafty language that I questioned. (Keep in mind I voted for him. I’m commenting on the analysis of communication skills and the impact they have on listeners. Just these aspects, NOT politics.) All that being said, he disappointed me going from a truly inspirational communicator to nothing impressive and even sending a vibe that makes that trust and likability diminish with me. I think you made your case well for your reasoning on why you placed him as the best of the worst in ’09. No argument on that one. Interesting and controversial (but politics provoke strong emotions), but well-justified. But that’s just my two cents from the impressions these communicators made on me in whatever capacity I had exposure to them. Every person named in your post (albeit subjective) has demonstrated communication skills (or lack thereof) that could justify making your list, based on what you wrote supporting your choices. In my not so humble opinion, the only one I strongly disagree with is Palin, and only because I never saw her speeches as impactful. She never came close to getting past the gatekeeper. Distrusted her from the first time I saw her speak. A great looking gal with ambition and a firecracker personality, I think from day one on the national scene campaigning, her only strength was to get crowds all riled up. That, she seems to have consistently done well. But that’s not a good communicator to me. I won’t listen to her content when I don’t trust her. But your points on why you listed her like you did have merit. That is, assuming the lack of trust isn’t a show stopper (as it is for me). Great post! Oh, and I think the suggestion of you going back in time and listing great communicators of the past is a fantastic idea. Mary Beth said it best…Palin??? You’ve got to be kidding, right? She lies, talks in tongues and cannot string a coherent thought together that isn’t some inane talking point. Come on Bert. You know better. Tom, Appreciate your support, as always. If you were nominating Sarah Palin for the Loose Canon Communication Award, her place in your pantheon would be understandable. A great communicator must speak from authenticity and must also stay close to the truth to be dependable over time. Sarah’s invented Death Squads and other disinformation departures disqualify her from both authenticity and truth as primary standards, and, also from trust in any future comments she chooses to make. 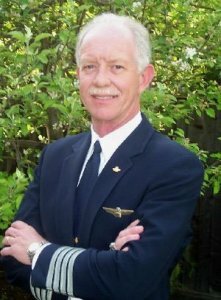 Sully Sullenberger is a great lean leader too, as I describe in my January eNewsletter, The LEAN COMMUNICATOR, http://www.leancommunicator.com. As an aside, he is refreshingly spare in his formal talks! Always enjoy this Bert… think you nailed it… best to you and your family in 2010. How about the gifts who keep on giving; Harry Reid, Nancy Pelosi and…Robert Gibbs, who you did mention. And for good measure, add Janet Napolitano. Now there’s a great foursome to draw to. You could even be excused for taking the President off the list and have this foursome tied for 1st. Best communicator- Tom Wilkinson- consistantly year after year sends out the best Xmas letters going! And I’ve never seen Carly in person – so we’ll see how she does in this campaign. Bert, As the saying goes, while I often agree with your insights, I must respectfully disagree with your assessment of Sarah Palin as being the poster child for likability. I usually find something to like about most people, and enjoy meeting and discussing ideas with folks who have a different cultural background or perspective then me…..especially if they are passionate about their point of view. However, when I watched her during her acceptance speech at the RNC last year, her comments putting down community activists were both nasty, mean spirited and a slap in the face to all of the honest hard working community activists who are truly passionate about helping less fortunate people. Only Rudy’s comments before or after her speech with his sarcastic put down of community organizers not having “real jobs” in painting Obama as not having a real job, was more offensive. Her comments this year about Death Panels, are not only untrue, but are more part of her ability to “stir the pot”. I just don’t find anything about her likable and perhaps if she showed an ounce of intellectual curiosity, I’d be more inclined to “hear” her, but as you said, you’ve got be believed to be heard, and I am unable to “hear” her. Other than this one “rouge” assessment from you, I always look forward to receiving my Decker Blog updates, and wishing you and the Decker family and team a great 2010. I look forward to this list each year but don’t read it hoping I agree or disagree with your choices. My goal is to learn something from each critique (which I assume is your reason for going through the trouble to post it). Personally, I place great value on what I perceive to be your strict objectivity from both a personal and political standpoint. I’ve no personal stake in Sarah Palin or strong ties to her politics but as a student of your blog and ideals, her speech at the RNC absolutely blew me away. I couldn’t have been more impressed. Equally, candidate Obama was equally impressive. I’ve felt something missing in his speeches since the election and your critiques have helped make clear what that is. I find it compelling that those two figures are the ones I most wanted to discuss as well as have most others. The rest of your list however is equally enlightening. Either way, thanks again for the great blog and great annual analysis. 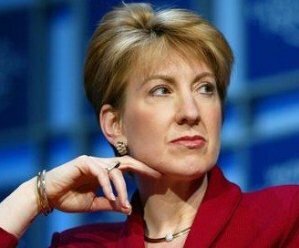 It’s obvious that you have never been in a one on one meeting with Carly Fiorina. When she is off the “elevator pitch”, she is lost. Seen her on Hardball or any other tough shows? Of course not. Excellent list, for the most part, Bert! Like a lot of the replies, though, I, too, take issue with your rankings of President Obama and Sarah Palin. I agree that Obama *hasn’t* lived up to his potential; does that make him one of the worst, though, or just ‘not as good’ as he was last year? Personally, I’d only choose someone who was *incapable* of communicating competently for the ‘worst’ list, and even with his flaws, I honestly *don’t* think that describes Obama. I think you’ve *really* overrated Palin by even *including* her on the ‘best’ list! There’s no doubt that she can deliver a prepared speech, but given her *atrocious* incompetence in live interviews (even if she *is* getting better), I’d have to call that a *serious* lack of communicating ability! Check out videos of the people who waited in line for her book signings; they all love her, but *none* of them can give a cogent reason *why*! It’s usually vague things like “She feels the same way I do”, “She tells it like it is”, “She’s a great American”, and so on. This is one of the things that the Republicans have capitalized on, and it’s *not* really a matter of communications ability; rather, it’s a matter of presenting a ‘folksy charm’. You mentioned that she was the ‘poster child for likability’; not unlike George W. Bush (and, for that matter, Ronald Reagan), people like her *because* she’s likable, *not* because she has substance! Dubya got elected (allegedly) twice because he was *likable*; you could go over and have a barbecue with him in his backyard. Did that make him a great leader, *or* a ‘great communicator’? No. It’s interesting, though, that when matched up against Al Gore or John Kerry – both *much* more intelligent and articulate than Dubya – people went with the candidate that was more *likable*, NOT the more competent one! I’d call it ‘style vs. substance’, but it’s more ‘*likability* vs. substance’, and if anything, that’s an even *worse* criteria for selecting leaders! As likable as Sarah Palin may be (and personally, I think there’s more than a little cynical posturing in there), she’s *still* widely seen as ‘not ready for prime time’. Regardless of how well she can deliver a speech, if she still has that negative perception about her – book sales notwithstanding – can she *really* be called a great communicator? 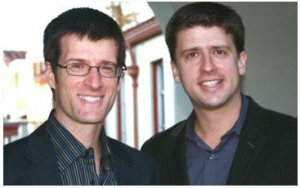 Bert – great resource, regardless of personal opinions! I’m going to use this next term in my class, PR Face-to-Face Tactics. Have a bunch on Steve Jobs, these clips will really help get the material across. Three Cheers for Bert! I agree Wendy. Cheers for Sully! Unfortunate I guess that the controversial get the attention – and the champions get ignored. Sully is #1! All these comments about Palin and Obama … but what about Sully? Cheers for Sully! My apologies to Mr. Lauer, its getting late, my fingers are clearly on decaf. I suppose any list like this is really just the starting point and ultimately based on subjective opinion. Fun to debate, but no point talking in circles…have a great new year! First of all, it’s Matt Lauer. I don’t think I’m going to convince you, because my retorts would go right back to what I said in each post, pretty much. Ahmadinejad is there to illustrate the danger of repressive communications combined with rhetorical bluster. Sure, he wouldn’t be on my Ten Worst Iranian Jihadist list if I had one – because if he was I’d be off the air, at best. He is in a class with with those who rant and rave, and only beat out Muammar Gaddafi (who was incredibly ‘worst’ at the UN) because he is so current and consistent. Remember his Columbia University speech. As for Steve Jobs, see the comments above. Heck, read the post again. He deserves to be on the Best List as long as he keeps talking. But then again, it’s only my opinion. Appreciate the dialogue. Gives me a chance to informally rant and rave myself. Thanks Mark – I’ll take 18 out of 20. And I’ve defended my Palin pick in the comments above, and the post itself for that matter. 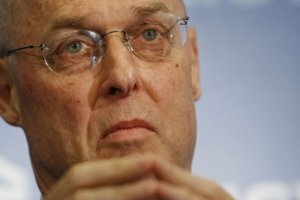 And I’d hope that Geithner would get better – Paulson never did. But even if their ideas and solutions are good – and I’m not sure they are – the problem is we need inspiration, hope and confidence as well when our economic leaders speak to us in these most troubled economic times where WE need confidence to begin buying, producing and performing. Dour doesn’t do it. This entire list perplexes me. Matt Laurer is the 3rd best communicator of the year and Barack Obama is the 10th worst? I challenge anyone to name an important news story of the year that Matt Laurer added significant clarity too. Affable and personable on screen, surely…but as a news reporter (that’s his job, right?) what important, serious information has he distilled for us from his lofty morning show perch? The Laurer pick makes even less sense when you compare him Barack Obama. Obama’s speech to the nobel committee alone, not to mention his congressional address concerning healthcare (which single-handedly saved the process) will studied for years as high-water marks in presidential oratory. Your rationale for listing is muddy at best…you list Mahmoud Ahmadinejad as worst communicator of the year, which might be true, if you are only looking at his words through western eyes. Ahmadinejad speaks to three very different audiences every time he is on the world stage-the western world, the Iranian leadership and the Iranian people. Make no mistake, I am not defending the Iranian regime, but just because Ahmadinejad says things we don’t like, doesn’t make him a bad communicator, if anything, our hatred for him shows how clear his messages are. 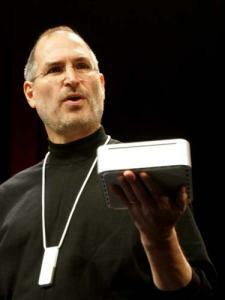 Conversely, you include Steve Jobs on your Best Communicators list. 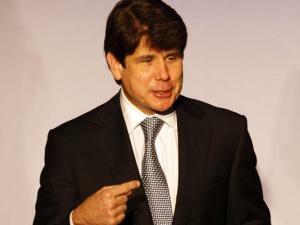 Yet with Jobs ill much of this year, he hasn’t been publicly communicating much at all. I admire Jobs a great deal and believe he deserves CEO of the Decade, but best communicator this year, the year of the decade he’s been most silent? As always, a very interesting and insightful list of notable characters this yr. I agree with most of your picks, until the lovely Tina Fey…oops – Sarah Palin is revealed as a Top 10. She’s all over the news media, like sawdust at a circus. Can’t figure out why she’s vaulted from “ Who’s she ? 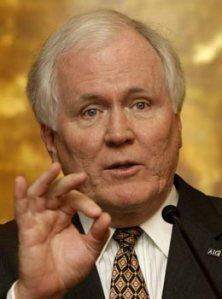 ” in Aug. of ’08, to “Oh-No” status on the campaign trail, to claiming lame duck Governorship, therefore let’s quit now and make some real celebrity money ….Only in America!! She can give an excellent and inspiring speech – much like your Worst #10 Communicator….hmmm?? She needs to be grilled on the Sunday morning talk show circuit, in order to have her communication skills toned and polished to the max. I think that helped Fiorina a great deal. 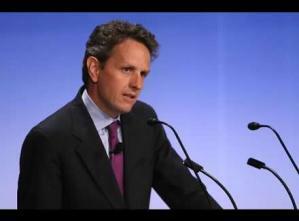 Also, Timothy Geithner’s not THAT bad. He’s a skilled financier, not a savvy politico. His Congressional Hearing testimonies (interrogations) have really improved lately. How would anybody perform in front of some of our elected power hungry morons? It seems like if you dumb it down, you don’t get called back to testify as often, i.e., the Tobacco and Automotive CEO’s. Over all I like your picks, at least 18 of the 20. Loved your line “How The Tiger Became a Cheetah”, but there is still too much to learn to make him the Worst. Thought of it though. Steve Job’s is CEO of the Decade, would probably be Speaker of the Decade (if I had it), but he didn’t really speak much this year to move higher. And he’s been on the list several times – I like to not repeat unless there are compelling reasons. You make good points, and I had forgotten about that stock market free fall after Geithner spoke the first time. It sure does show the power of communicating well, or not! I forgot about Tim Geithner in my first comment. Remember how the stock market went into a free fall after his first “undecisive” press conference dropping from the 8000 level to 6600 before it stopped. Had he been more articulate, many people would not have lost near as much money. Very insightful list, Bert. Your choice of Chip & Dane Heath couldn’t be better. As a Toastmaster for over ten years, I’ve found that “what sticks” is the most important thing in speaking. If you don’t take something away from a presentation you have just wasted your time. That’s what I like about Sarah Palin. Love her or hate her, she makes an impression (I can still see the lipstick on the pit bull!). I also have to agree with your assessment of President Obama. His handling of the terrorist affair over the weekend couldn’t have been worse. He came off like “It’s not my fault,” and left the impression that we have a bunch of buffoons at the helm. As president, you have to stand up for your country and as Truman said… the buck stops here. Would love to see an global version. I think Tiger is definately the worst of 2009. Job’s is definately the best. Why? 99% of the communications WOM prep work is already done BEFORE he speaks. People hang of his every word. Good insights Jeff, as always. Obama said he was going to be transparent – I don’t see it. But he does not deserve moving up on the Worst list, (even though you are right on about his people communicating badly.) Now if he interviewed as badly as Palin, maybe he would move up. Then again if Palin interviewed better, and dropped her cute/coyness, she’d probably move up her list. Interesting to see where the communications of these top public figures will land them in 2010. Bert, thanks so much for creating these lists. They spark a lot of thought and discussion. 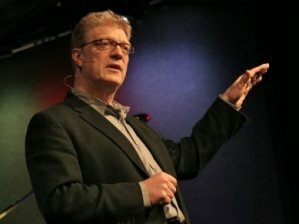 Hands down, Sir Ken Robinson deserves to be on the list of best communicators. He is fantastic — a great role model for conversational speaking. He is warm, engaging, and funny. I would probably have him much higher on the list. Who am I kidding? I would have him as number one. 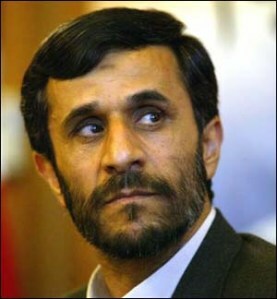 Number one on your worst list is Mahmoud Ahmadinejad. He is there because this is the USA, but think about this. He does not run Iran, the Mullahs do. And he serves at their pleasure. In his world he is a great communicator. He has to be to stay in power. I agree that he doesn’t rank high in the free world but he doesn’t live in that world. Just because we don’t agree with him doesn’t mean he isn’t a great communicator (in his own deranged world). Does Barack Obama deserve to be at the top of the worst list, especially since he was number one on the best list last year? I think so. Bert brings up some great examples of technical problems (my favorite is when he tilts his head back and looks down his nose – very dismissive and arrogant looking). As president, he is responsible for the messages coming out of his administration. Bert has Timothy Geithner and Hank Paulson on his worst list. That is a ding against the President. Janet Napolitano has also been a less than stellar communicator. She is a ding against the president. I am surprised that she isn’t on the worst list. I don’t know Tim, maybe the country leaders you talk to say that Obama is the best to have come out of the US in a long time because he followed Bush. Frankly, I don’t think Obama can come close to Bill Clinton as a skilled communicator – and they are both democrats. And as to my personal views, remember that I had Bush as the #1 worst last year, and Obama as the #1 best the year before – when he was a candidate, not when he was a leader. Read the post carefully. I’m talking about using communication skills to take advantage of the opportunity one has. Obama has not done that as a leader. Appreciate your comments – makes for good dialogue – Conservative or Liberal. I really was very surprise to see you had Obama on the bad list of communicators – I think your letting your personal political views affect your professional skills on what a good presenter is. Every country leader I speak to all say that Obama is the best speaker/presenter they have seen come out of the US in a long time. and just an fyi I’m a Republican, but must admit wish our party had such an articulate speaker like Obama in our party. Not sure what justification you would put him there, but nonetheless he has not spoken enough publicly to get on the 2009 list. IMHO Chief Justice Roberts deserves a spot on the “worst” list. Great Robin. Many thanks for your comments. We didn’t train Palin, just doing commentary. Such I stated in the post. Actually Kevin most like the List, even though no one has my same subjective judgments. Tempered with a few insights from 30 years experience. I was just talking to Allison and mentioned I really appreciated this list and totally agree with it. She suggested I mention that here. I can really tell this is well thought out and as a trained public speaker really appreciate your insights. This list has no credibility. Why would anyone hire Decker communications putting the same Sarah Palin that bumbled through every TV interview she had during the campaign on the top 10 communicators list? Gary Vaynerchuk is a very successful personality – built through high energy and video. I love his enthusiasm and risk taking – when I saw him at SXSW last year I didn’t like his potty mouth. That’s not necessary for great communicators. Goes along with my saying that “Leaders are never sarcastic.” You have to trust them as soon as they open their mouths. So Gary isn’t on the list. Great personality and following though. Interesting list. Not sure I agree with some of the picks and assessments, but definitely very thought-provoking. I wonder how you would rate Gary Vaynerchuk. Great lists and great links whetehr I agree or not your points are very interesting and informative. I always learn from your blogs and tweets and that is my goal. And, I always see some peopel that surprise me but when you explain I get it. Maybe when I am 100 years old I will get a nomination if I really learn from your lessons. Good idea for Totus Liz. Teleprompter1 would be a possibility too – both are wise and funny on Twitter. And Carl, Gordon Brown joins Putin as international worst communicators of the year. I have to agree with you about Obama. His communication style has not changed from a candidate to a president yet. He needs to learn the art of statesmanship. I am glad Sarah Palin is in the list. Who needs the media and PR Team? Obama in the other hand is a full illusion created by the media. Thoughtful lists with tight rationale. It’s interesting that Palin’s book “Going Rogue” has sold well over a million in such a short period of time. Al Gore’s book “Our Choice”, over a much longer period, I understand has sold 40,000. There’s something about the communication ability of the author in all this. 0bama is a disaster of a communicator. Whenever his teleprompter goes down, he just stops in mid sentence, and waits. That tells me: 1) he doesn’t write his own material, and probably has little input into it 2) he doesn’t even bother practicing before giving the speech, and 3) he isn’t familiar enough with the topic he is addressing to speak without the teleprompter. He has an annoying habit of using “I, me, and my” over and over again in every speech, making every speech about himself. That and the numerous aaahhhs, eeerrrs, and uuuummms, make him almost impossible to take seriously. On the other hand, I’ve watched Palin deliver 3 state of the state addresses, each running about 35 to 45 minutes without a teleprompter, and only occasional references to her notes. There are few better when she does have a teleprompter. Anyone who doubts that should watch her RNC speech, it was flawlessly delivered. Even the interviews she’s done, post campaign, seldom have the uuummmn, aaahhhs, and eeerrs, that are in every 0bama sentence. Sarah Palin goes beyond being one of the best communicators. She makes a connection with millions of Americans who are capable of seeing through the media attacks. There is a reason why thousands of people lined up in the cold to have their book autographed by her. There will always be some closed minded individuals who will not allow themselves see governor Palin. She was, is, and will always be the people’s candidate. Thanks for sharing your conversation with @BethHarte – she’s a pro! As for the comments on Palin, I have found people either love her or totally disparage her (not sure they hate her) and their comments reflect that. 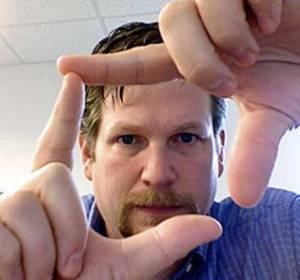 Perception matters more – until reality counteracts the perception. (See Tiger Woods at #3 Worst.) To succeed in public, you have to appear good, and be good. Good points, Bert. Had interesting convo with @BethHarte about Palin on Twitter after reading your post. I don’t doubt that what you say about the Maria Bartiromo interview is true. Beth also said Sarah has polished her interview skills. But check out the retweets and comments on this post and you’ll see the perception is still overwhelming that she is a total flop when other people are introduced into the conversation. That said, Beth and I were discussing what matters more — perception or reality? And should it impact where Sarah sits on this list? Furthermore, as a politician, or public figure for that matter, you don’t only get to participate in interviews about things you know about, right? That maybe be her PR team’s goal, but pretty lofty one in a social media world with a 24 hour news cycle. Thoughts? Justin, good comments, and can’t disagree with anything you add. Jobs would have been higher if he hadn’t been featured on two previous lists, and hadn’t been ill and thus somewhat silenced this year. But he’s justified on the list for his consistent excellence, and CEO of the year. Insightful comment on Sarah Palin, but she’s actually good in an interview when she knows what she’s talking about. See the clip in her write-up with her Maria Bartiromo interview. It’s just that she’s way short in the knowledge curve right now, so way short in most interviews. Tiger Woods remains a quandary. He has to speak BEFORE any play, otherwise he will be ridden unmercifully by crowds. And rumors/opinions love to fill vacuums, so I think the sooner the better. Then if he plays and wins he will come back, but he’ll never be the man he once was in the public eye, for he WAS invincible. 1. Agree with most of your choices on the “best communicators” list, although I would move Steve Jobs even higher if your criteria is the person’s overall brand reputation and how the public responds to him or her. Steve is a master showman and Apple has taken a different route (focusing almost solely on their products) to achieve what so many companies are using social media to try and do — improve reputation and build brand ambassadors. I do think you’d be justified keeping Jobs at 5 if you’re reasoning is he seems to have mastered “marketing” more than “communicating.” Because you could look at this list a totally different way and say Jobs and Apple are uber-successful in spite of how little (once a year at MaacWorld) Jobs puts himself out there. All in the definition and methodology, I guess. 2. Not a big Tebow fan, but I agree that he does come off as very polished and I saw a piece ESPN ran recently about how he presented a sick kid with an award at his high school. Tebow spoke from the heart about what the kid’s story meant to him and how it inspired him. 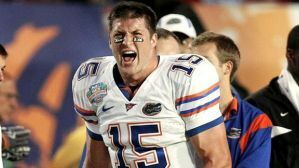 I still won’t root for Florida, but I now trust the “well-polished, man of faith” image that is Tebow’s brand. 3. 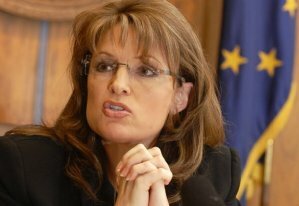 When it comes to your choice of Sarah Palin, I would draw a significant distinction between communicator and marketer. I do think Palin is a very shrewd marketer — or at least her people are. They know her strengths — giving speeches. And she/they understood that she is such a hot/controversial topic that any book by her would rush to the top of the charts. That said, her lack of comfort in simple, sit-down media interviews and conversations screams the exact opposite of communicator. Put her in a “one-way conversation” situation and she’s brilliant. Introduce a variable — let’s say a common one like people :) — and she falls flat. 4. I do think you’ve hit the nail on the head with Obama. He and his people promised unprecedented communication and access possible for a candidate and not for a president. Or at least, Obama hasn’t found a way to maintain that strong connection through communication. For example, his Twitter account has been abandoned and his “town hall” press conferences have been overly scripted. I’m not saying I’m surprised or even that his people are using the wrong strategies by protecting his image so tightly. But it isn’t the open access he promised in 2008. Just my two cents on a few of your choices. 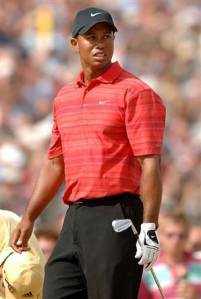 Everyone has ripped Tiger for not saying anything, but not so sure what you say when you bring the backstory he did to the table. If he wins a major or two next year, people will start to forget. In fact, if he really focuses on his game, stays silent, wins next year and apologizes in public, post-tournament press conferences, I think he could find his way to the top 10 best next year. You? I’m sorry… Sarah Palin made the Top 10 best communicators and Barack Obama made the Top 10 Worst? Politics aside (and I mean that – truly: Politics aside) President Obama is one of the most articulate public figures of the last 50 years. He might not get a whole lot done, but the guy is a fantastic communicator. To potentially not include him in the Top 10 Best list is fine, but to put him on the Top 10 Worst is ridiculous. Maybe Lil’ Wayne might have been a better choice? Or Larry The Cable Guy? George W. Bush? Half of the financial institution CEOs who testified before congress a year ago? Fritz at GM? Muamar Quadafi, even? Did you watch him speak at the UN earlier this year? They belong on this list. Whether you like him or not, President Obama certainly does not. As for Sarah Palin? One of the Top 10 Best Communicators? With all due respect… huh? Mrs. Palin can’t string 10 words together without falling apart into five different and unconnected sentences. She’s incoherent at best. “Diarrhea of the mouth” comes to mind. Granted, she did a great job of galvanizing “her core” around the notion of “death panels” (and boy did that stick, so kudos there) but aside from that accidental success, she’s an absolutely horrendous communicator. Worse than President G.W. Bush, even, which is quite the accomplishment given his tendency to butcher the English Language every time I opens his mouth. I have to raise my eyebrows at a few other entries into your list, but those two are the most surprising. That said, it’s just my opinion. Hey Olivier, appreciate your opinion. We just disagree. As I said in the post, any President has to be on the Best OR Worst list. Remember Bush was the #1 Worst last year. 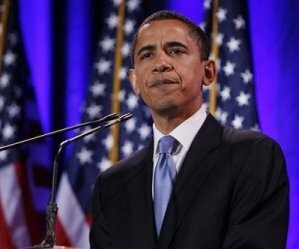 Obama is the best of the worst because he has not taken advantage of his communicating opportunity – and the Bully Pulpit needs to be used (sparingly) now more than ever. As for Palin, look at the post – and look at the clips of her speeches. She is outstanding in formal setting, but I agree that she misses it in the interviews. We’ll see how she improves, or not. She will stay around, because she can speak. Communication is quite crucial in positions that many of these people keep especially the politicians. Surprised to find Obama on the 10th worst place…but I havent heard much from him since the elections. You always manage to introduce me to a few good and poor speakers I have not heard of before Bert. Well done. Not being a US citizen I am unfamiliar with a couple of your choices. and I look forward to reading the responses.